The Round Lake Area Exchange Club and sponsor Mano a Mano Family Resource Center, are proud to announce the April 2017 Hometown Hero, U.S. Marines Private First Class, Benjamin Kuligoski of Round Lake Beach. His mother, Melissa Fletcher, of Round Lake Beach, registered him for this honor. Kuligoski is currently in Pensacola, Florida studying aeronautical mechanics. With the generous support of this month’s sponsor Mano a Mano, Kuligoski’s “Hanging with the Heroes” care package will include some of his favorite snacks, a personalized “Hanging with the Heroes” t-shirt, and letters from Round Lake Area Schools students. 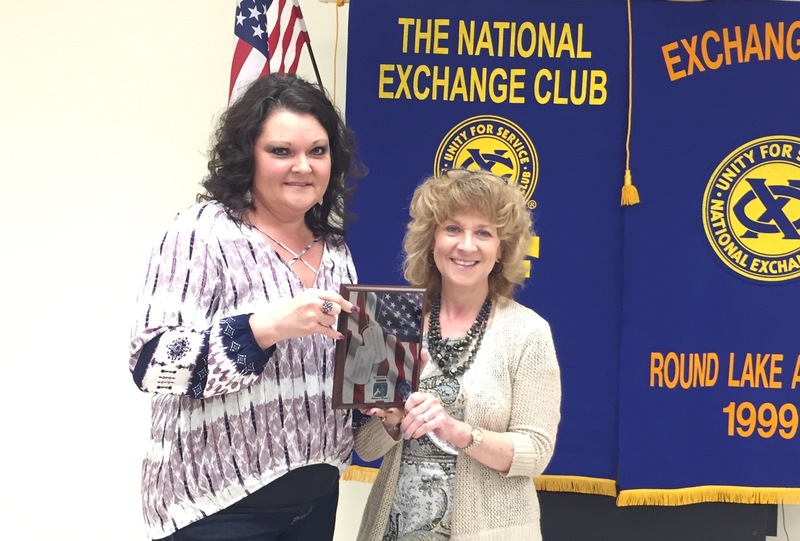 The Round Lake Area Exchange Club presented Kuligoski’s mother with a plaque on Wednesday, April 26, 2017. The Round Lake Area Exchange Club meets the second and fourth Wednesday of each month at the RLAS-116 Administrative Service Center, located at 884 W Nippersink Rd, Round Lake, Illinois. So proud of you been thank you so much for all your dedication serving our country God bless you!